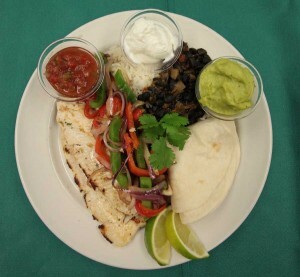 Trout fajitas made with sustainably raised Montana fish are served in some Yellowstone National Park dining locations by concessioner Xanterra Parks and Resorts. Where menu items come from has become just as important as what’s on the menu for many outdoor enthusiasts. Which is why some national park concessionaires are looking at “sustainable dining,” as an attraction they hope will draw customers into their national park lodges and restaurants. This entry was posted in Uncategorized and tagged Grand Teton, National Parks, Yellowstone. Bookmark the permalink.